Ever since I first heard about Tomoe River paper, I’ve always been curious about it. I heard that there’s no feathering or bleed through even for wet writers, and that the paper is thin and almost like papel de hapon. So when Kailash of Pengrafik.com offered a limited number of journals for sale, I decided I’ll buy a couple so that I can see whether I’ll like it or not. The binding is stitched, which I like better than stapled. It looks clean and well-made. The journal is very thin even at 80 pages. The thinness of the paper makes it look more compact, I guess. 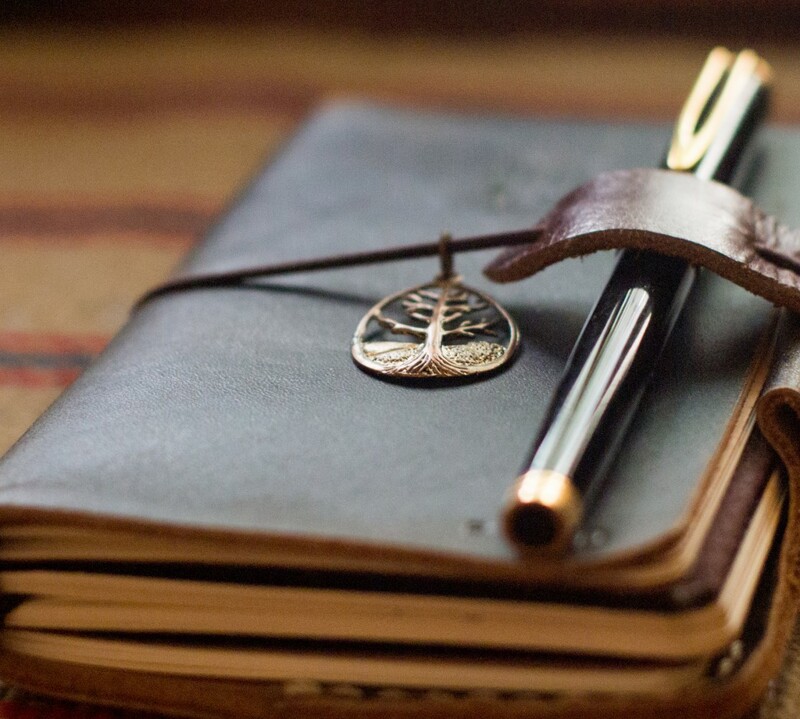 The journal is really simple-looking. Just an ivory-colored cover and plain ivory-colored paper. The paper itself is fascinating. It’s so thin, almost like tracing paper. The texture is very pleasant–not completely smooth or waxy, but similar to paper that’s used for certificates, only more porous and finer. Writing on it is an interesting experience too. I like that it has some feedback, and I like that it really retains much of the vibrancy of the ink so that the colors don’t look washed out after it dries. In fact, it looks much like how it looked while wet. That’s pretty awesome. I am also so relieved that it’s not too slippery or waxy. All my currently inked pens (on the writing sample) wrote on it without any difficulties whatsoever, even my extra fine nibs. Right away, I thought that the texture, the way it held the ink without feathering or bleeding and the thinness of the page would make it a wonderful sketch pad. You probably won’t be able to use the other side of the page, though. The writing shows through a lot. Update: After using this journal for both writing and drawing, I realized that the show through is very tolerable. I can write at the back of the pages too, and they’re readable. The more you use this paper, the more it grows on you. It’s kinda hard to explain why something so thin can feel so luxurious. You gotta try it out yourself.